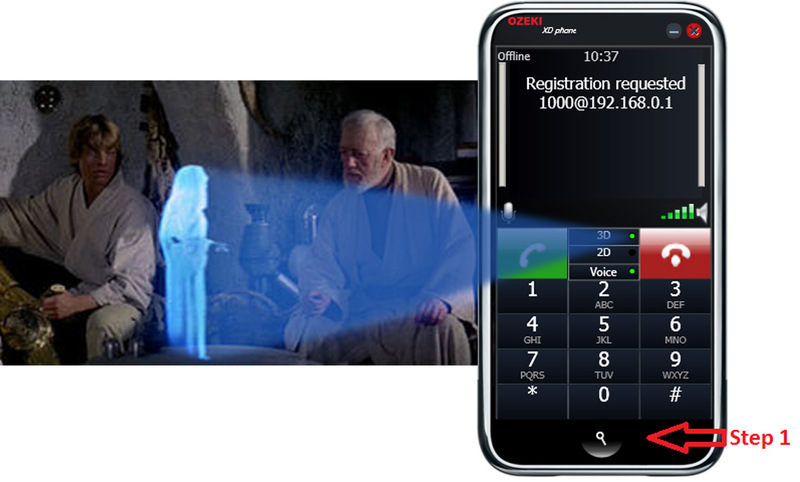 Ozeki XD Phone turns your PBX into a next generation phone system that enables breathtaking 3D video calls. 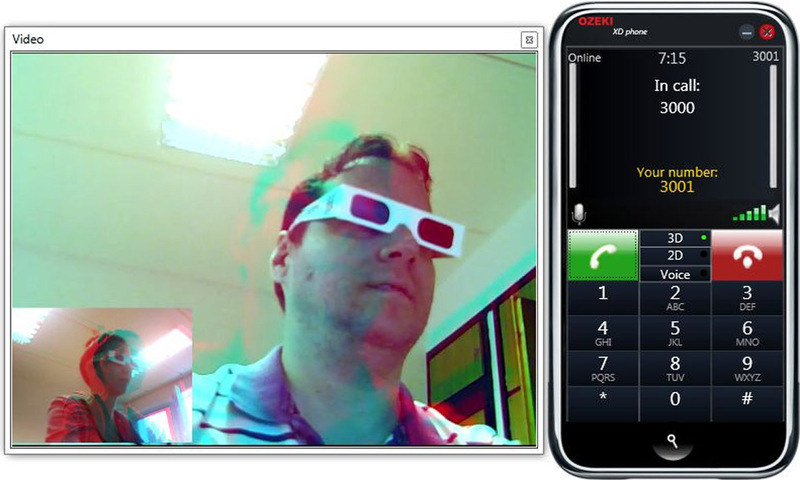 3D video calling is much more than a revolutionary technology: It brings people closer to each other. It allows realistic face to face communication. 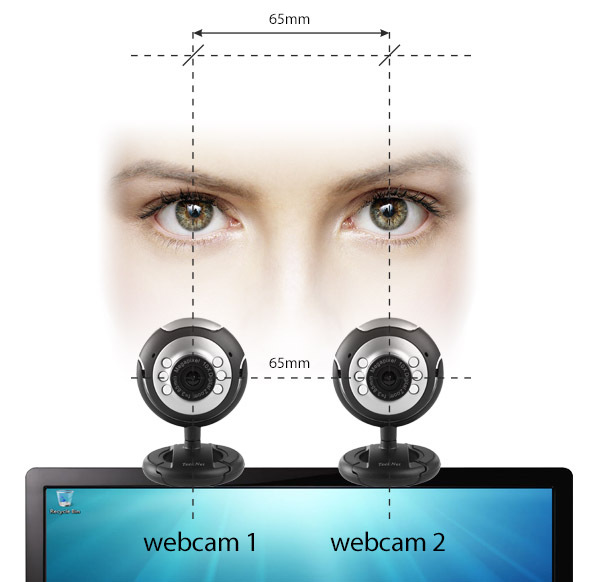 You only need to install multiple cameras on your PC then precisely calibrate them, and enjoy high-tech video calls. You can launch it by opening its icon on your desktop. Now, it is time to align your cameras. If you use a 3D compatible webcamera, just put it on the top of your monitor and move on the next step. However, if you use two conventional webcameras, take a look at Figure 2 for our tip about the right camera placement. Be sure that the distance between your cameras is approximately 65 mm. 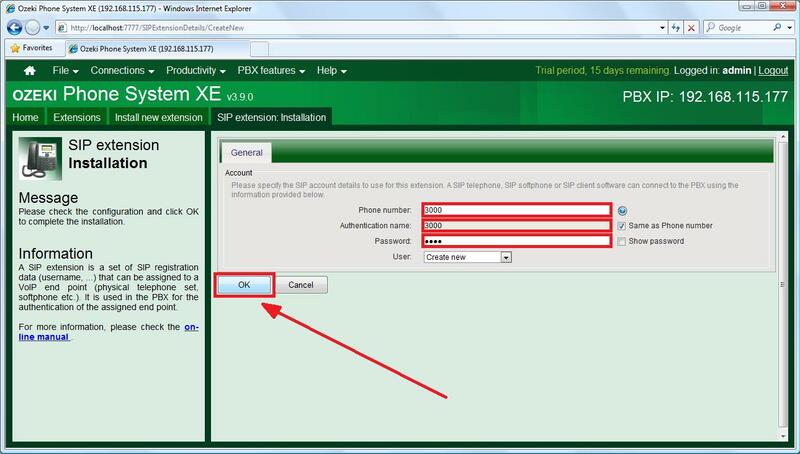 After the installation, you need to connect your softphone to Ozeki Phone System XE as a SIP extension. For this purpose, first you need to open the settings window by pressing the magnifier button on your 3D softphone (Figure 3). Now, the 'Device settings' window can be seen, where you can setup your SIP account. If you provide the appropriate values (IP Address, Extension phone number, Password), your softphone will be able to make calls, even if you do not have any camera in your system. 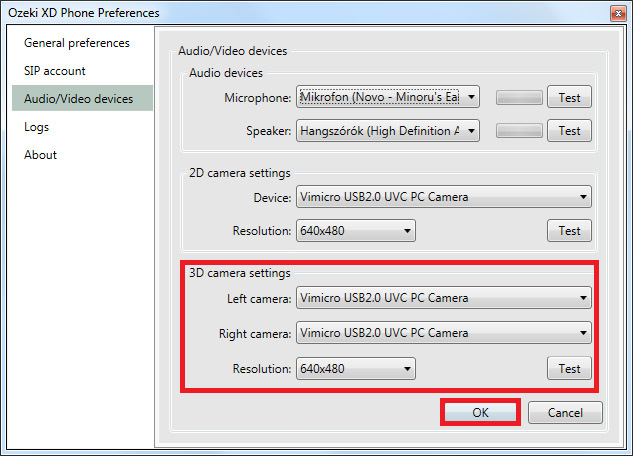 For 3D calling, you need to select two different 3D cameras in the '3D camera settings' section (if you use a 3D compatible camera, you will probably see the same camera as the left and right camera) (Figure 4). For making 3D video calls, it is essentially needed to download the latest version of Ozeki Phone System XE. Using our Quick start guide you can install the software quickly and easily. 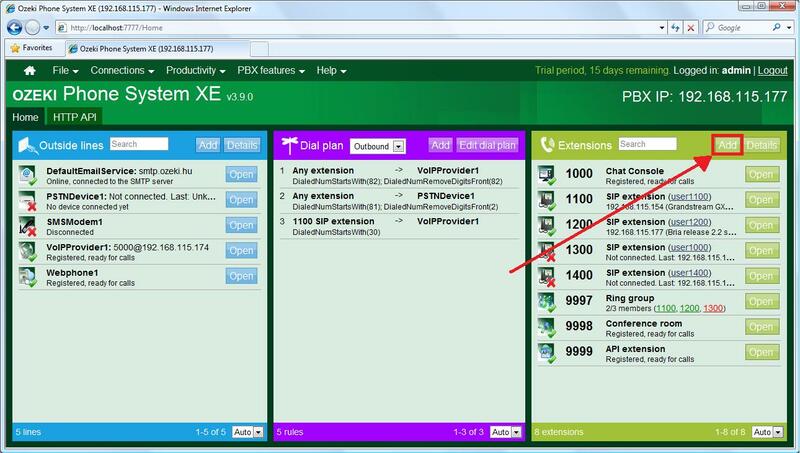 For 3D calling, you need to add a SIP account in Ozeki Phone System XE for the caller and an other one for the callee. If learning mode is enabled, you do not need to install this SIP extension explicitly, since it will be added automatically. In this case move on to the Step 3. After you have successfully installed a SIP account for a 3D Softphone, now add and configure an other SIP extension for an other 3D Softphone in the same way. 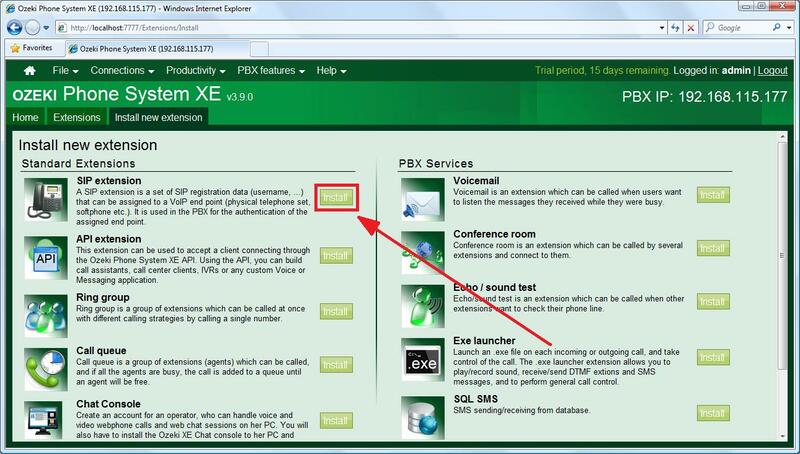 To call somebody, please install Ozeki XD Phone on a second pc and register it to the Ozeki Phone System XE PBX. 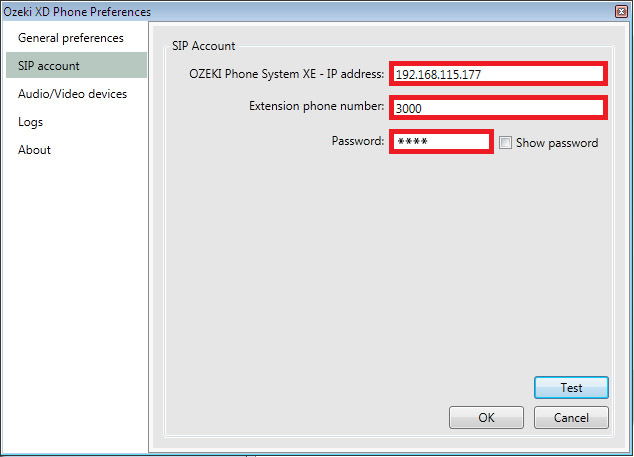 The previous steps shows how to add new SIP extensions in Ozeki Phone System XE and how to configure Ozeki XD Phone. 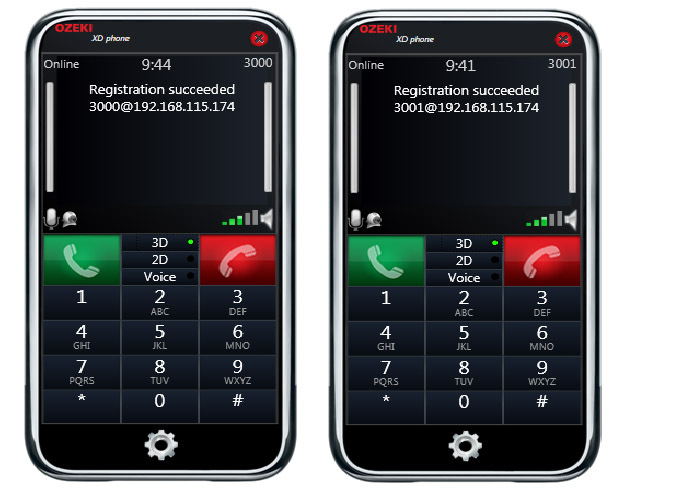 The following figure shows that you have registered two Ozeki XD Phones to the PBX. Between the pick up and the hang up button you need to choose the type of your call. 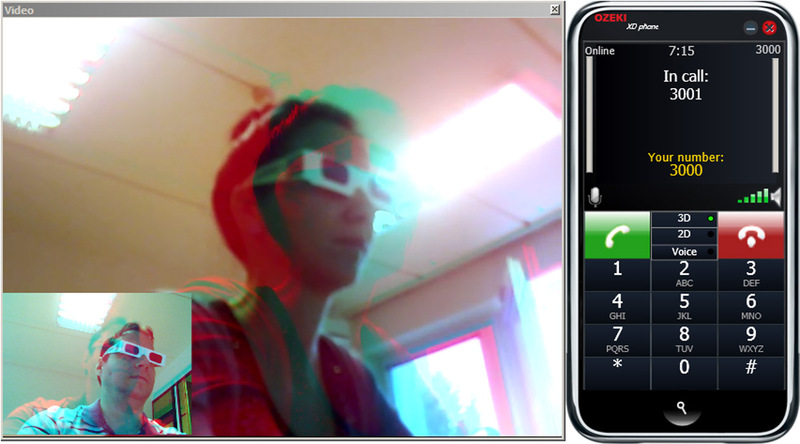 For 3D video calls, you need to check the 3D checkbox. Now your softphone is ready to make your first 3D video call. Just type in the callee’s phone number and start the call by pressing the pick up button. Having done these steps, the video window can be seen, where you will see your partner in 3D. 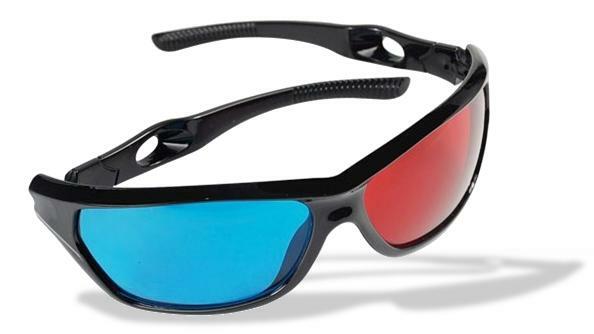 For the perfect experience it is recommended to use cyan-red 3D glasses.